Penrith is a suburb and major centre in the metropolitan area of Sydney, New South Wales, Australia. Step out of the city life by going to Paradise Beach and Heathcote National Park. Do some cultural sightseeing at Museum of Fire and Sydney Tramway Museum. Venture out of the city with trips to The Australian Botanic Garden (in Mount Annan), Campbelltown Arts Centre (in Campbelltown) and Shelly Beach RockPool (in Cronulla). Spend the 8th (Fri) exploring nature at Berowra Valley National Park. There's much more to do: take some stellar pictures from Burragorang Lookout, take an in-depth tour of Rouse Hill House & Farm, engage your brain at Penrith Museum of Printing, and examine the collection at Museums Discovery Centre. To find out how to plan a trip to Penrith, use our trip itinerary maker. Newark, USA to Penrith is an approximately 31-hour flight. The time zone difference moving from Eastern Standard Time to Australian Eastern Standard Time (New South Wales) is 15 hours. Traveling from Newark in March, expect Penrith to be warmer, temps between 80°F and 61°F. Finish your sightseeing early on the 9th (Sat) to allow enough time to travel to Manly. Your itinerary includes some good beach time at Whale Beach and Bilgola Beach. Get in touch with nature at North Head Sanctuary and Avalon Beach. 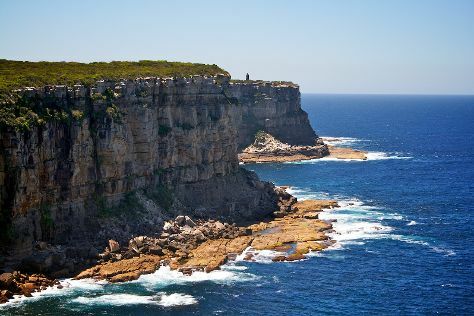 Get out of town with these interesting Manly side-trips: Narrabeen (North Narrabeen Beach & Narrabeen Lagoon State Park), Barrenjoey Lighthouse (in Palm Beach) and Baha'i House of Worship (in Ingleside). The adventure continues: enjoy the sand and surf at Mona Vale Beach, stroll through Fairlight Beach, hike along Walking Trail To Chowder Bay, and contemplate the long history of Vaucluse House. To find other places to visit, traveler tips, more things to do, and tourist information, read our Manly road trip planning tool . You can drive from Penrith to Manly in 1.5 hours. In March, daily temperatures in Manly can reach 78°F, while at night they dip to 66°F. Wrap up your sightseeing on the 19th (Tue) early enough to travel back home.